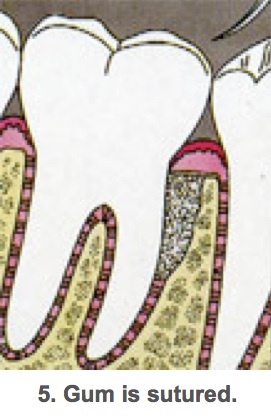 When the sulcus develops deep pockets, it is difficult to completely remove plaque and tartar even with through daily oral hygiene. 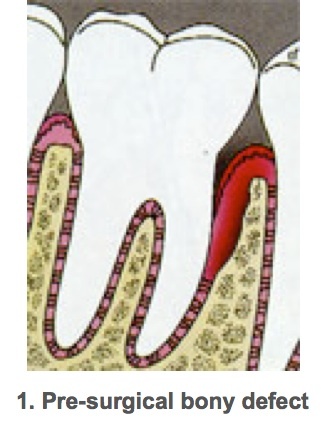 If the pockets do not heal after scaling and root planing, periodontal surgery may be needed to reduce the pocket depth and make teeth easier to deep clean. 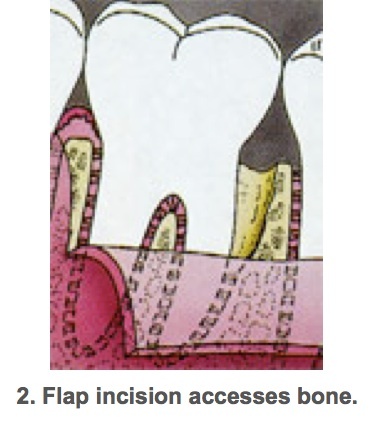 Surgery allows the dentist to access hard-to-reach areas that require the removal of tartar and plaque. 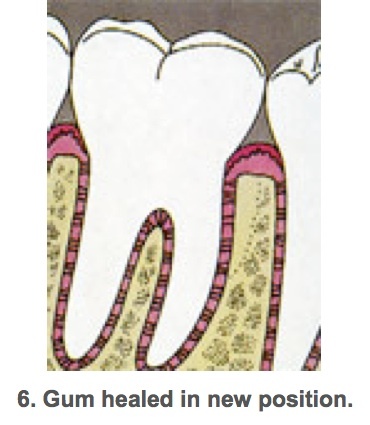 The gums are sutured back into place or into a new position to make tissue snug around the tooth. 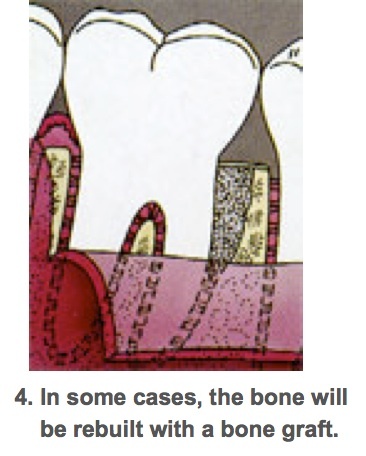 Bone surgery, including bone grafts, may be used to rebuild or reshape bone destroyed periodontal disease. Splints, bite guards or other appliances may be used to stabilize loose teeth and to aid the regeneration of tissue during healing. 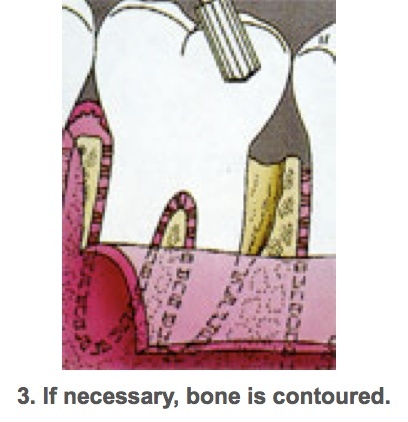 If excessive gum tissue has been lost, a gum graft may be performed. After surgery, the dentist may apply a protective dressing over teeth and gums and a special mouth rinse may be recommended or prescribed. An antibiotic and mild pain reliever also may be prescribed.